We can probably all agree that one of the main reasons we play online slots is the thrill of triggering the free spins mode, or “FSM” as we refer to it below, and watching the wins stack up without risking any of our beloved bankroll. There’s also the excitement of not knowing how much it’s going to boost your balance by the end of the round or if you’ll be lucky enough to cash out a big winner afterwards. Each game has it’s own unique way of awarding free spins to players which is why we clearly explain how you trigger them and what happens during the round in all of our exclusive reviews. Most often, they are awarded for achieving a result in a single spin, usually three or more Scatter symbols, or sometimes you’ll be chasing one that actually says “Free Games” directly on it. Each machine is different when it comes to the actual amount that you’ll receive, however, this is another piece of information that we include in every write up. Most people love the ones that will give you more gratis games depending on how many Scatters you landed to trigger the feature: 3 gives you 10, 4 gives you 15, etc. Obviously, in a perfect world the more Scatters you hit, the more spins you would receive but sadly this often isn’t the case. Another huge difference between FSMs is whether or not you can re-trigger it while you’re freerolling. 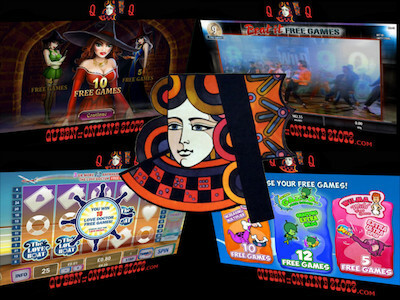 Everyone enjoys winning more spins with free spins but most titles don’t offer this feature. There’s no greater feeling than hitting a hot streak and re-triggering a FSM a bunch of times, however, this is a pretty rare occurrence. Again, if you want to know exactly what to expect just be sure to read the FSM section of the review in question. Occasionally you’ll find a release that offers a “twist on the traditional” and gives out a re-do on losing spins, like the amazing Big Lebowski online slot game that was launched by 888 Holdings. You literally get a do-over whenever you don’t win so there’s always a steady stream flying at you the entire time. However, it’s important to remember that you’re actually paying for those re-spins due to the minimum wager size that the machine requires, which is in relation to the number of paylines that you’ve chosen to bet on. Sometimes all that glitters is not pure gold, but in this particular case no one should really mind because it’s a ton of fun and the movie was fantastic. The free spins mode is where a title can really stand out and separate itself from the competition, which is why we always pay so much attention to this area. Some software companies don’t seem to care about it when creating their releases and it really doesn’t make any sense – the competition for gambling dollars these days is fierce. There are literally 1,000s of machines available 24 hours a day so why not create the best ones possible? The good news is that a lot of new slot games have beefed up their FSMs with extra prizes and features, and the graphics are really getting unbelievable. For example, Superman The Movie by Playtech has an amazing one that’s always exciting when it’s triggered and it really blows you away. There are so many moving pieces and animations in it you’ll get sucked into the story every time. For those of you who don’t like unique bonus rounds and want to play games that only have FSMs, you’ll definitely want to focus on the 243 payline machines because they pretty much never have a special feature and really only offer extra spins as a reward. With all of those ways to win there’s no room in the budget for a unique bonus area and all of the hard work that would have to go into creating it, so the software developers just opt not to have them. We’re not really fans of these 243 payline releases but we still have some fun with them sometimes, with the Terminator 2 online slot being one of our favorites from this particular category. Ok we get it – you want no deposit free spins and you don’t want to wager any real money until you’re sure that you like the game. These feelings are natural so please don’t be ashamed: we’re here to help. That said, you need to remember that there is a big difference in an online casino giving you free play on a slot vs. giving you spins without a deposit and allowing you to win cash with them. Pretty much every betting website on the internet will let you try their games without using your bankroll after signing up with them for a new account, but there’s no way in heck that they’re going to offer any real moolah for you to win during the process. Although, some operators will occasionally have promotions that include a “welcome package” with a little bit of everything if you deposit and then only allow you to withdraw any winnings once you meet their rollover requirements first. Yes, this means that you’re going to have to wager real money at some point so you might as well get it out of the way in the beginning. Finally, you need to remember that the casino is always going to control which machines that you can use the spins on and sometimes they only have one featured title that you can play. Oh, and you shouldn’t expect to win a jackpot during this time because the amount would simply be way more than the maximum cash out permitted, which is usually only a couple of hundred dollars, Euros, or Pounds, as the case may be. If you live in the United States and are looking for free spins at an online casino you’re not going to have very many options due to the lack of competition. In the mid-2000s Americans had literally hundreds of choices on where to go but these days it’s quite limited so there’s not nearly as many promotional offers available. The operators simply don’t have to work that hard to get new people through their doors. Therefore, there are currently zero USA online casinos that offer free spins to win real money so Americans are going to have to settle for packages that are contingent on making a cash deposit. Not to worry though because we constantly search high and low for the best promotions and we’ve identified one operator who stands out, and that’s the BetOnline Casino who offers a great welcome bonus of 100% on your first deposit. Once you are signed up you will be able to access a ton of great offers and promotions so you’re just going to have to cough over a bit of cash to unlock them all. As mentioned above, most U.S. betting websites will let you try out their games without risking your bankroll after you open a new account with them but you obviously won’t be able to win real money while you’re doing this. Those living in the Great White North who want some free spins without depositing should check out the Trada Casino and take advantage of their great offers. For starters, they’ll give you 10 just for signing up a new account so you can try them out before wagering any of your hard-earned beaver pelts, (at least that’s what we assume the currency is up there, but in fairness, it could be hockey pucks). All jokes aside, there are many Canadian online casinos available and players from Prince Rupert to Conception Bay have tons of choices of where to go. Of course, some are going to be better than others and offer more games, bigger bonuses, or friendlier customer service agents, so it all depends on what’s most important to you. We only promote our favourite operators from Canada on this site so don’t be shy to click through and check a few of them out, eh. Those who live in the United Kingdom are cursed with terrible weather and even worse food, but at least they’re blessed with a plethora of options when it comes to online casinos that offer free spins with no deposit. Thanks to strict government regulations and the overall “Nanny State” in England and her territories today, punters are assured that every one of their casino options has been properly vetted and is regularly audited by an independent firm. This leads to fierce competition when it comes to attracting new players since everyone has already been proven to be fair and honest, and they’re all following the same rules. However, some older, more-established operators don’t feel that they should have to bait new customers to come through their doors so it’s usually those who are new to the scene that give out the really juicy offers. In the spirit of that, Casino Cruise is giving anyone who signs up a new account 55 No Deposit free spins that can be used on Starburst Slots, the highly entertaining release by NetEnt. All aboard! In addition to their drains going backwards and sharing a collective contempt for dingos, Australians also have a hard time finding free spins at online casinos without having to make a deposit. This is due to their aggressive government’s smothering gambling regulations which have scared away a lot of operators, but the good news is that there are still a few options for those living Down Under and not all hope is lost. The reality is that even though the legislators try to crack down on internet betting, they are ultimately powerless to block their citizens from playing online slots because the Australian government doesn’t own the internet. So to honour the rebellious spirit of this former prison colony we recommend the MyBookie Casino to any Aussie who wants to live with dignity and thumb their nose at their oppressors. In fact, you should check out any of the Australian online casinos on this website since they all come 100% trusted and reviewed. Ned Kelly would be proud of you. Good on ya!